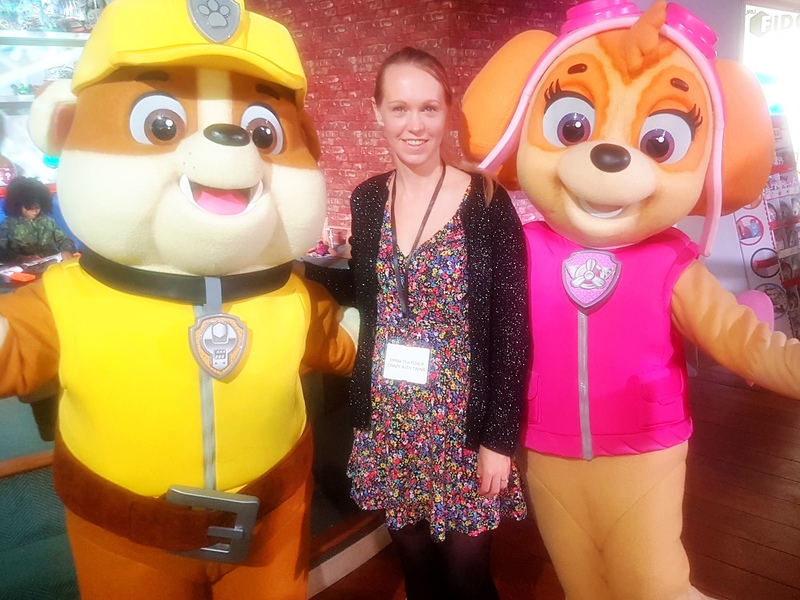 Yesterday I went to the Dream Toys 2018 Press Event in London. 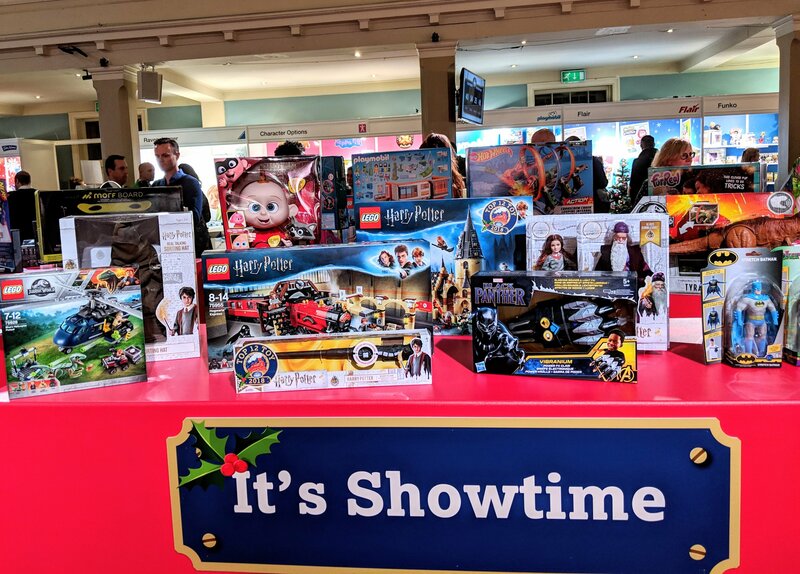 This annual event is set up by the Toy Retailers Association every year and many of the UK’s press flock to it. 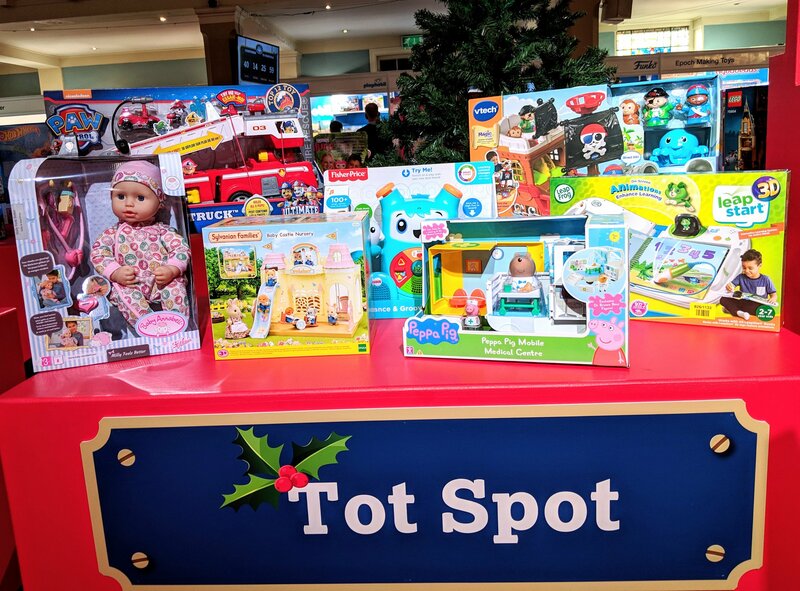 A panel of judges go through all the toy entries in the lead up to the festive period and choose the top 100 toys to buy for Christmas and the top 12 toys to buy for Christmas. These make up the Dream Toys 2018 list! This is my second year attending this event and I love it (not just because of the free food and epic goody bag). However I must confess that for the second year running, I managed to demolish breakfast, lunch, several cups of tea and a few snacks all before 10:30am! 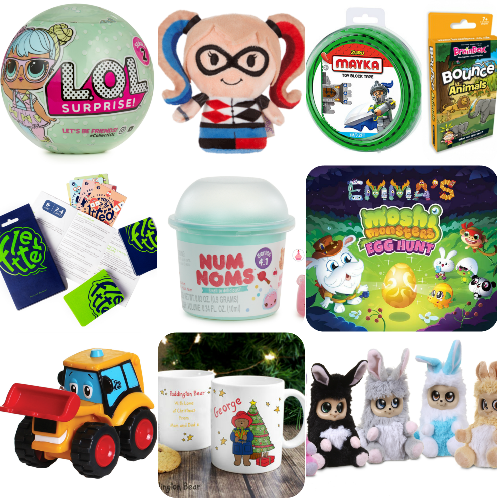 As well as telling you what the Toy Retailers Association deem to be the Dream Toys for 2018, I’m also going to tell you my own personal selection of the best toys to buy for Christmas. 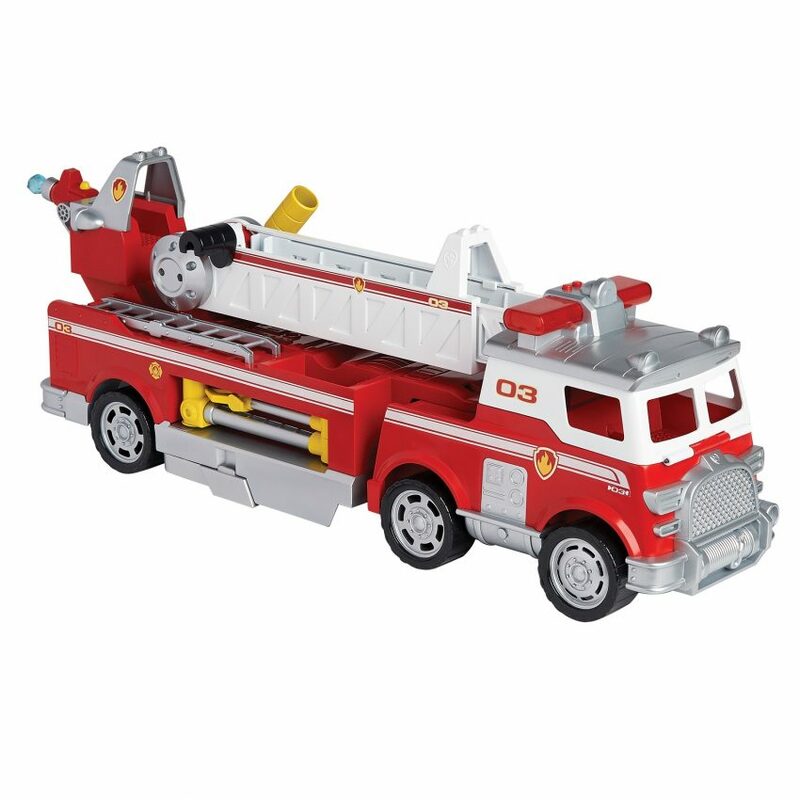 Paw Patrol Ultimate Fire Truck from Spin Master Toys. This retails at £69.99. 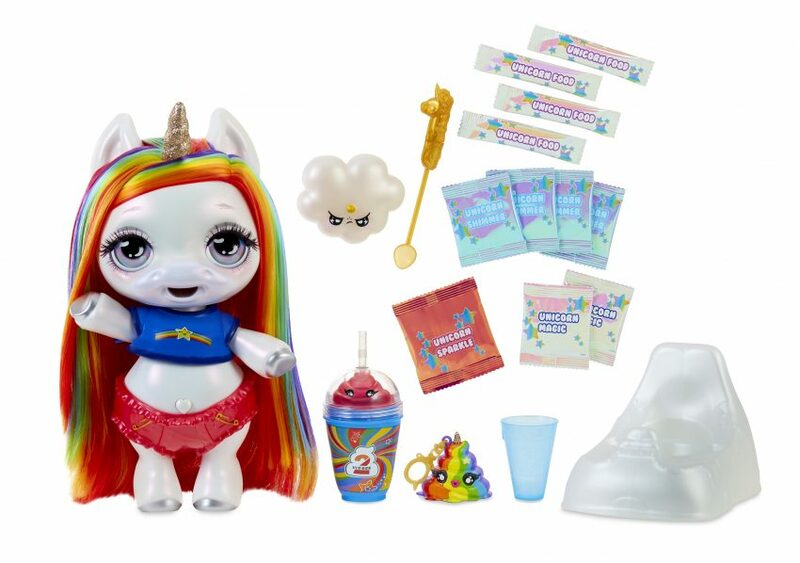 Poopsie Magical Unicorn from MGS Entertainment retailing at £49.99. 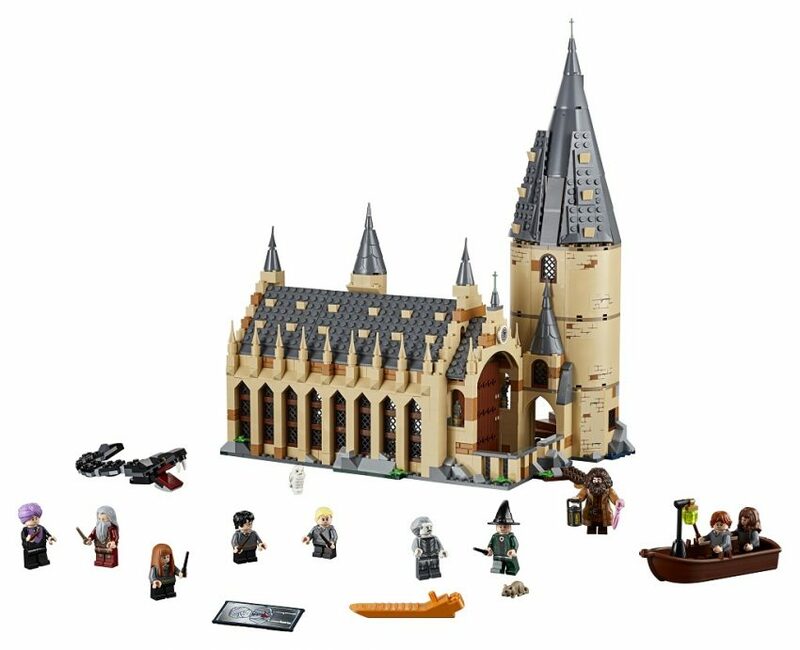 Harry Potter Hogwarts Great Hall made by LEGO with an RRP of £89.99. 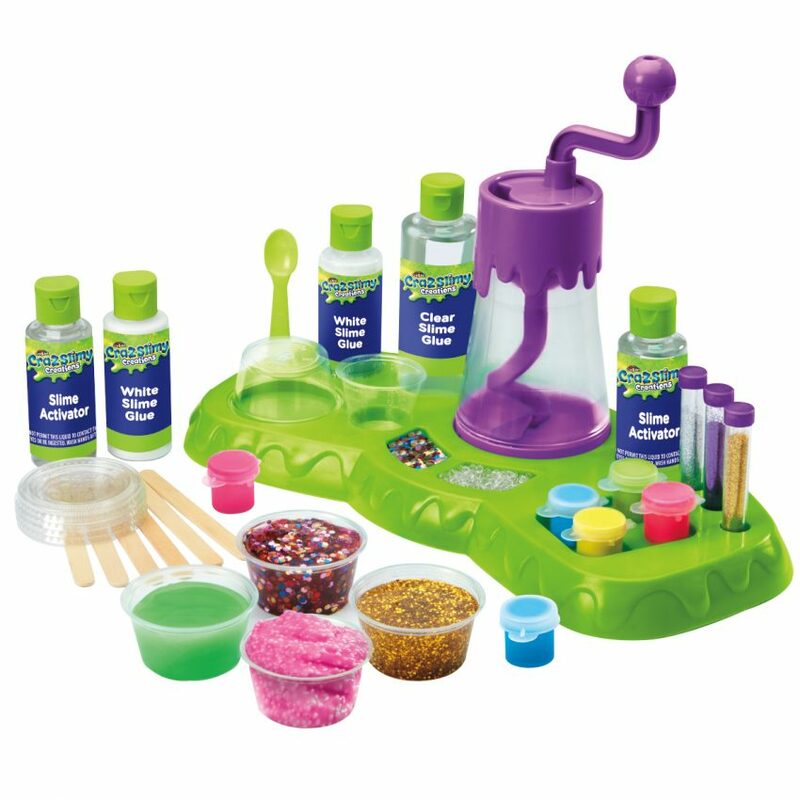 Cra-Z Slimy Creations Super Slime Studio by Character Options selling at £29.99. 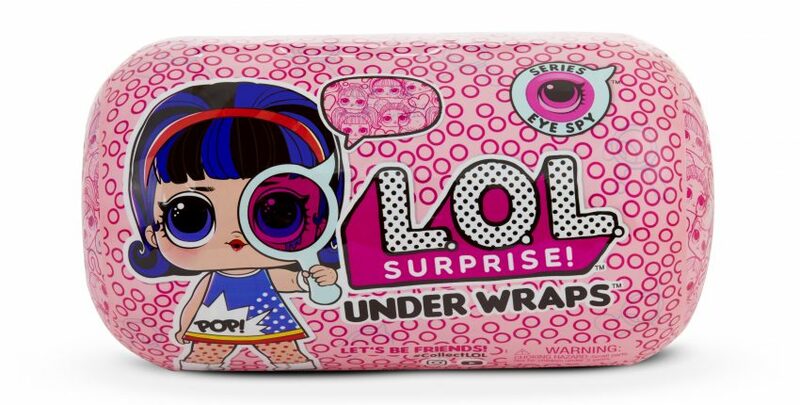 L.O.L Surprise Under Wraps from MGA Entertainment retails at £14.99. 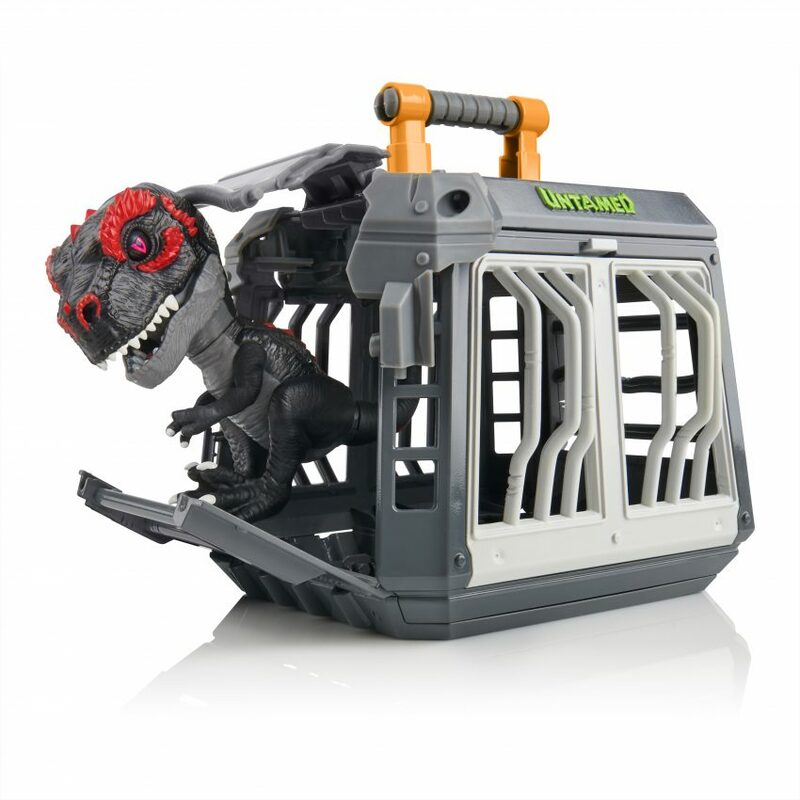 Fingerlings Untamed Jailbreak T-Rex Playset from Jazwares /Wowwee at £24.99. 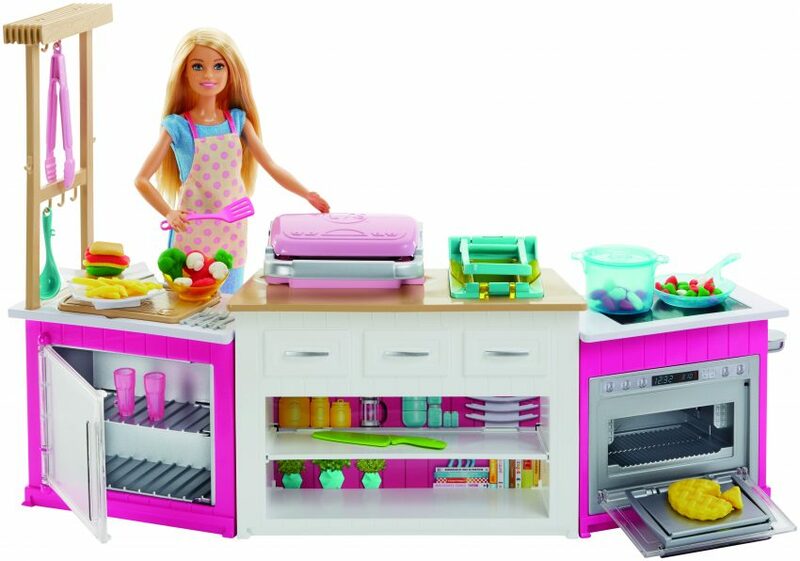 Barbie Ultimate Kitchen by Mattel with a selling price of £49.99. 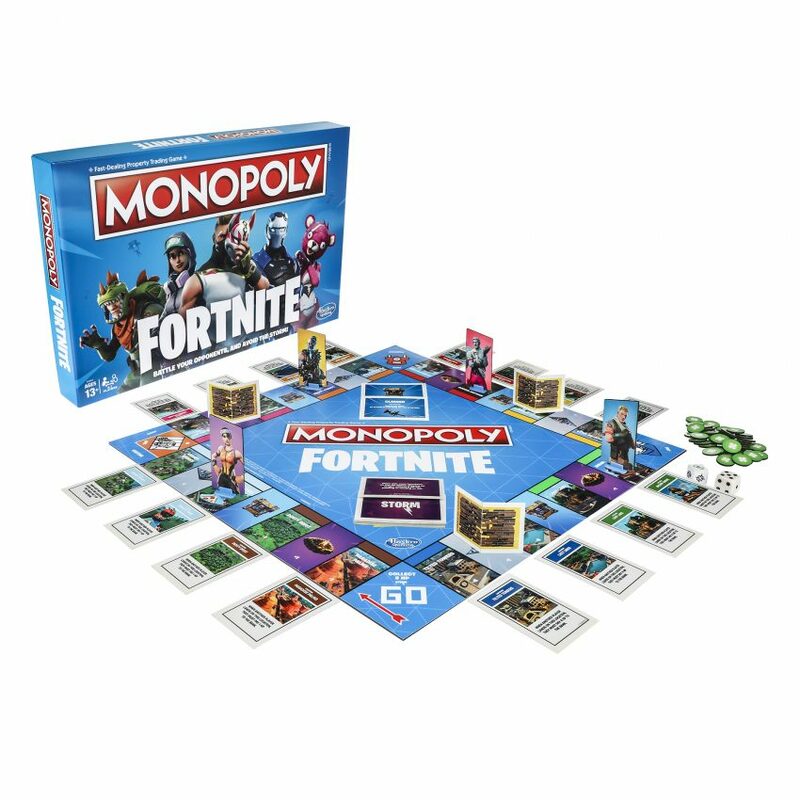 Monopoly Fortnite Edition from Hasbro RRP £21.99. 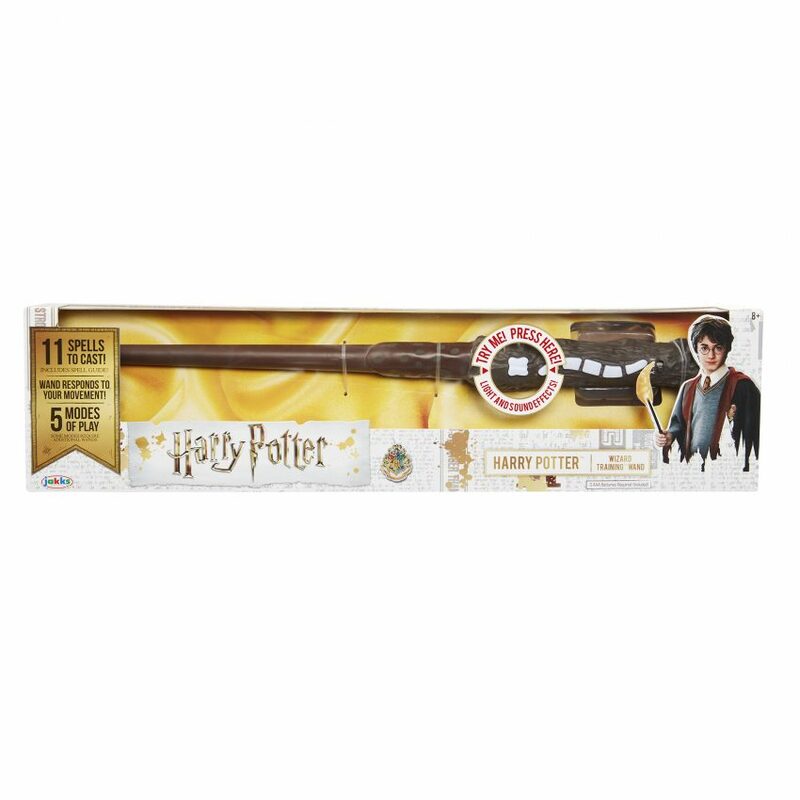 Harry Potter Wizard Training Wand by Jakks Pacific retailing at £24.99. 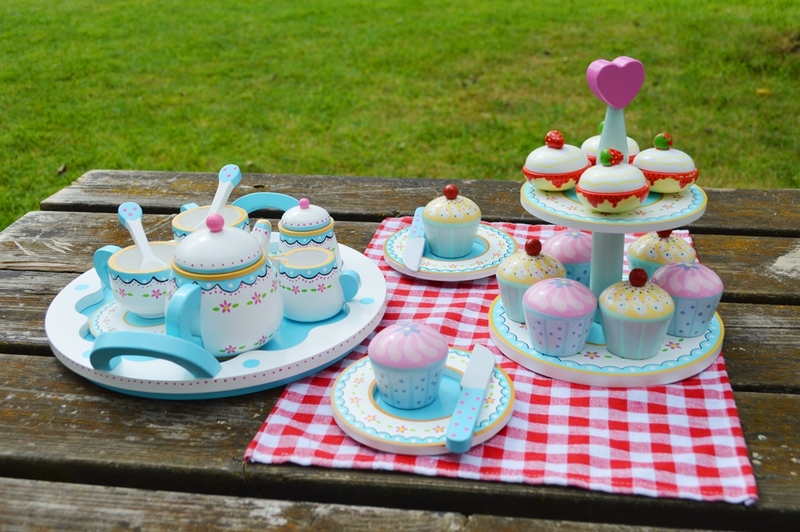 L.O.L Surprise Pop-up Store from MGA Entertainment which has an RRP £39.99. 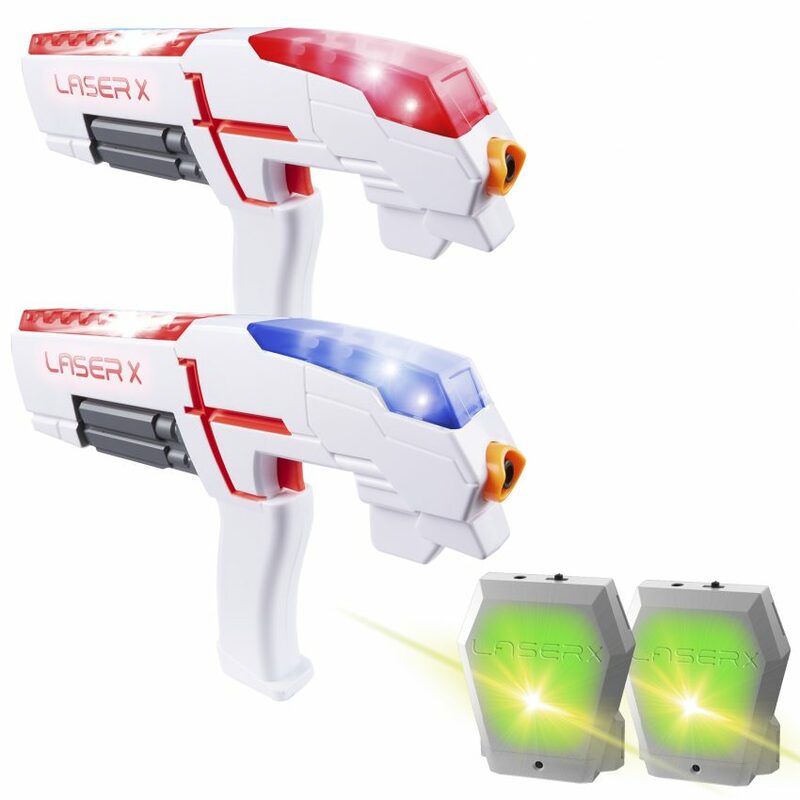 Laser X Twin Pack by Character Options for £49.99. 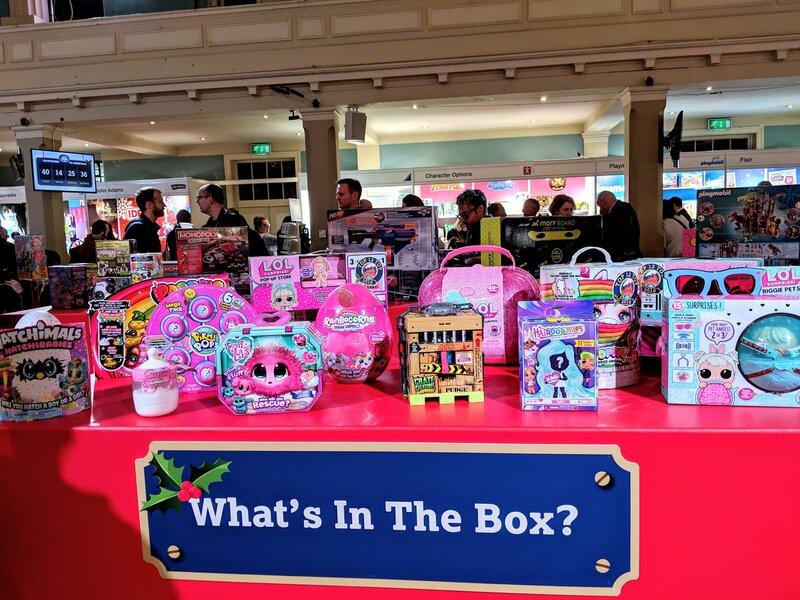 These Dream Toys will all make brilliant toys to buy for Christmas, but my personal favourites from the 100 toys selected at Dream Toys 2018 are slightly different. My choices stem from the kinds of toys that my own children love and would play with again and again. As a parent, I think there’s nothing worse than spending an absolute fortune on a toy that your child will only play with once and then get bored. My children are aged 2, 6 (twins) and 11 years old. My youngest is a boy and the rest are girls. With that in mind, if you have children of similar ages, you might find some of the ideas on my own list of Dream Toys 2018 that your own children will love. My personal top picks from Dream Toys 2018. 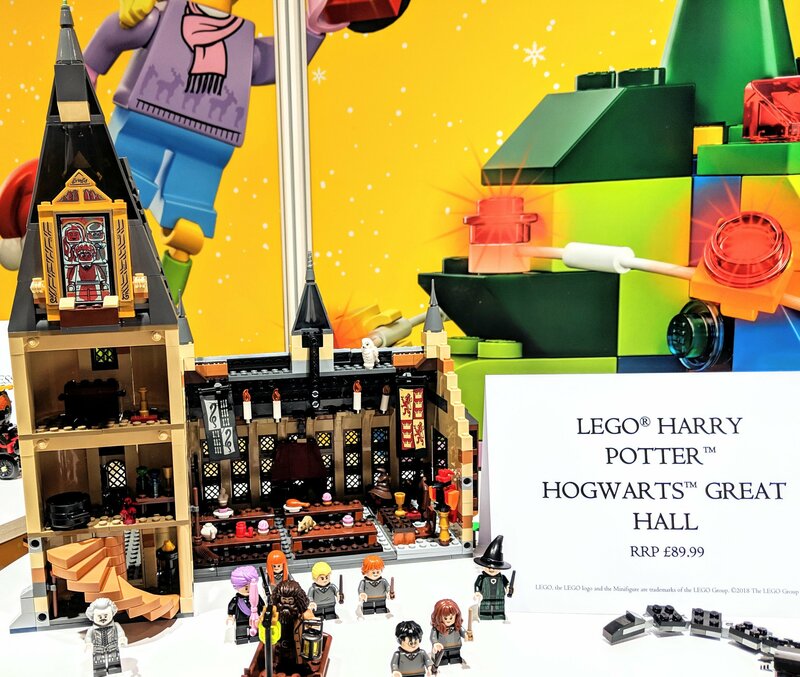 I am in complete agreement with the Toy Retailers Association on the Lego Harry Potter Hogwarts Great Hall. All four of my children (and my husband) LOVE LEGO. LEGO is a timeless classic which will never ever get old. My oldest daughter and I are also big Harry Potter fans and I’m in the process of designing a Harry Potter themed bedroom for her. I even have a Harry Potter bedroom ideas Pinterest board. My twins and I visited the LEGO shop in Leicester Square recently and were admiring all of the Harry Potter Lego collections whilst we were there. The Harry Potter Hogwarts Great Hall is a brilliant and very detailed toy from LEGO and if it hadn’t been on my daughter’s Christmas list, I’m pretty sure it would have been on mine! This toy outright wins Dream Toys 2018 for me. 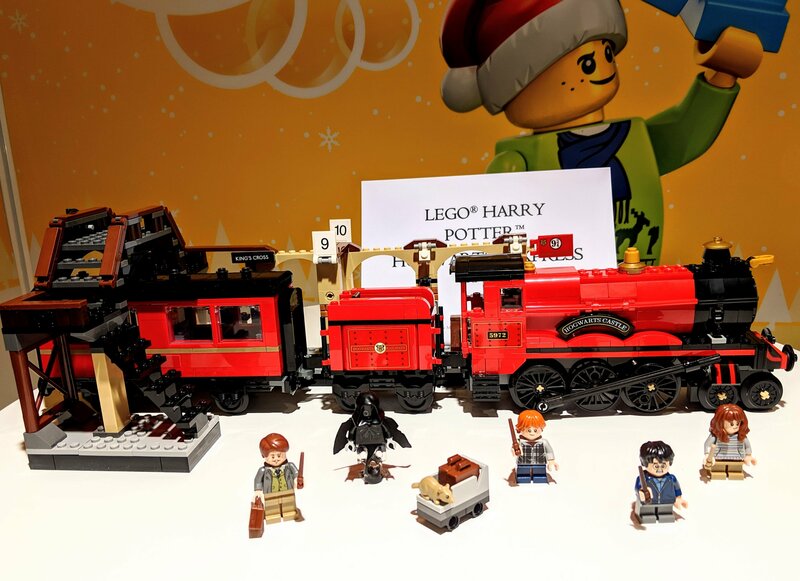 Yep… LEGO makes my list twice as they have also made a Harry Potter Hogwarts Express. This is a great option if Hogwarts Great Hall is just a little bit beyond your budget. 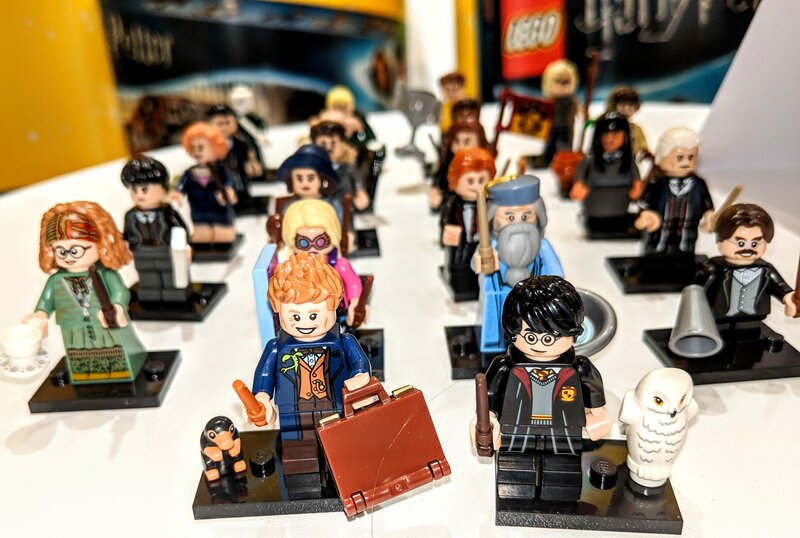 They also had Harry Potter LEGO Minifigures too, which would make great stocking fillers! Move on over Fortnite, the Monopoly Cheaters game is the one for me. I have ALWAYS loved a good game of monopoly and we actually played a game only last week (I won of course!). In this version of the game, you are not only allowed to cheat, but you are supposed to cheat! You get given “cheat” tasks to carry out throughout the game, but you MUST NOT GET CAUGHT. I think this is a fascinating twist on the classic monopoly game. I remember sleeping with my monopoly money and properties under my pillow as a kid, to make sure my best friend couldn’t cheat! 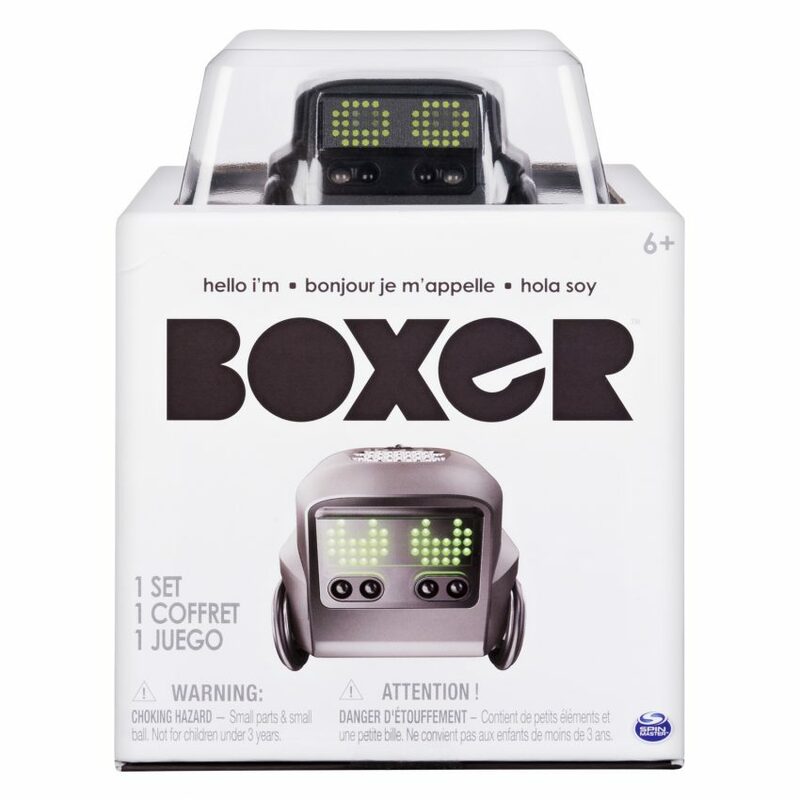 This is definitely at the top of my own personal Dream Toys 2018 list and definitely one of the best toys to buy for Christmas. 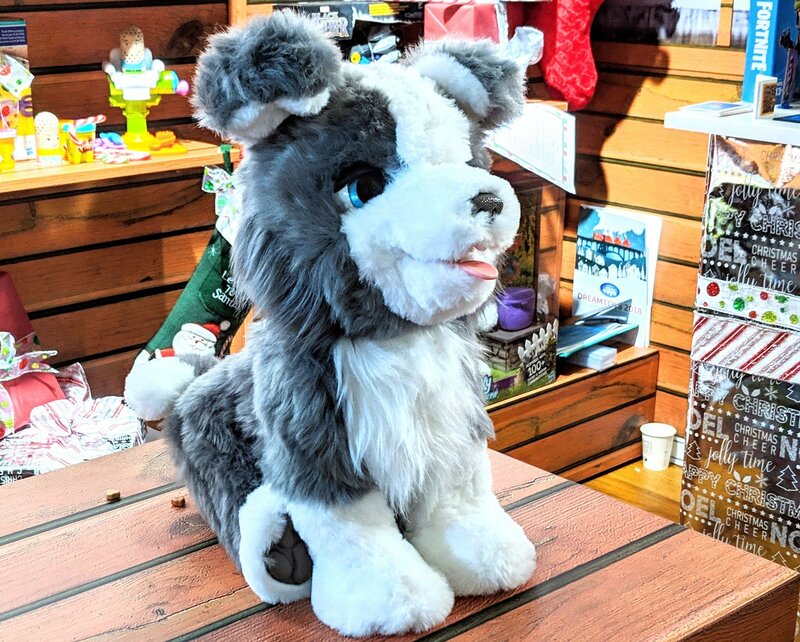 Similar to Tyler the Tiger from the 2017 Dream Toys list, this big cuddly toy has a huge range of over 100 motions and sounds. He’s also super cute, can eat, poop and do tricks! To be honest, you have to see this toy in action to appreciate how awesome it is! 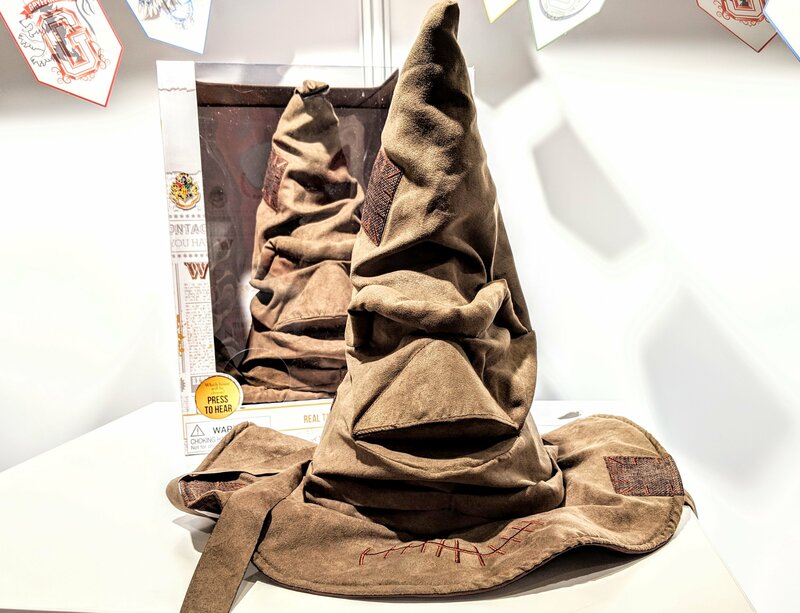 It looks and sounds EXACTLY like the real sorting hat from Harry Potter. What more do I need to say? This may have to go in my daughter’s Harry Potter themed bedroom. Three of my children, have all indulged in the flippable sequins craze. They all have sequinned tops which show one picture until you flip the sequins over to reveal a different colour or picture. They love them. It’s madness. And as a mum, I have to remember not to tumble dry them! 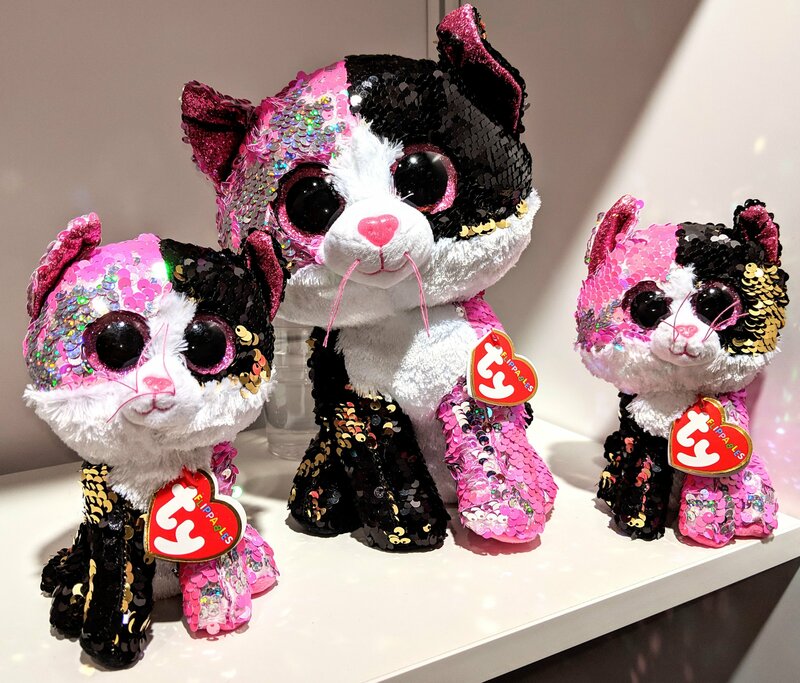 Well TY (of former Beanie Baby and Beanie Buddy legends) have now come up with cuddly toys with flippable sequins and I think there are really sweet. This is one toy I will be buying for Christmas this year. These little creatures may have you mystified when they show up as a ball of fluff and you can’t quite work out what animal they are. You must wash them, dry them and groom them, to discover what type of pet you have! Ingenious huh? 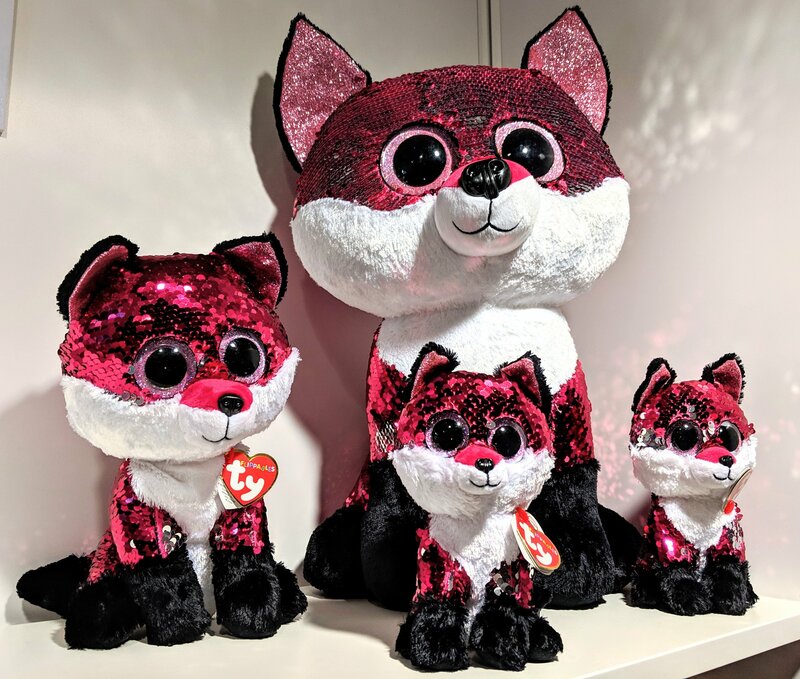 My twins are getting these for Christmas. This science toy has to be seen to be appreciated. You design your track using the app, choosing where you want to start and finish your design and how many height layers you want. 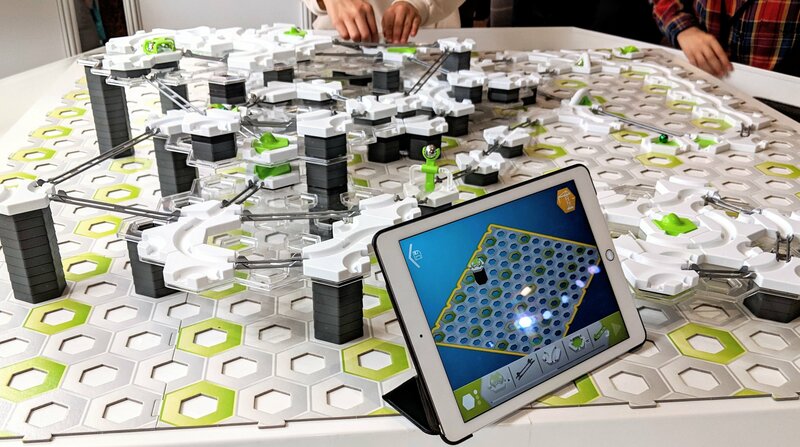 Then you build your track for real, using tiles, levels, tracks, and other features, such as catapults. The idea is to get ball bearings from the start to the finish, using gravity, magnetism and kinetics. I absolutely cannot understand why this wasn’t chosen as one of the best toys to buy for Christmas this year. I think it’s a little complex for my children, but brilliant for older kids, home education and anyone with a love of science and construction toys. 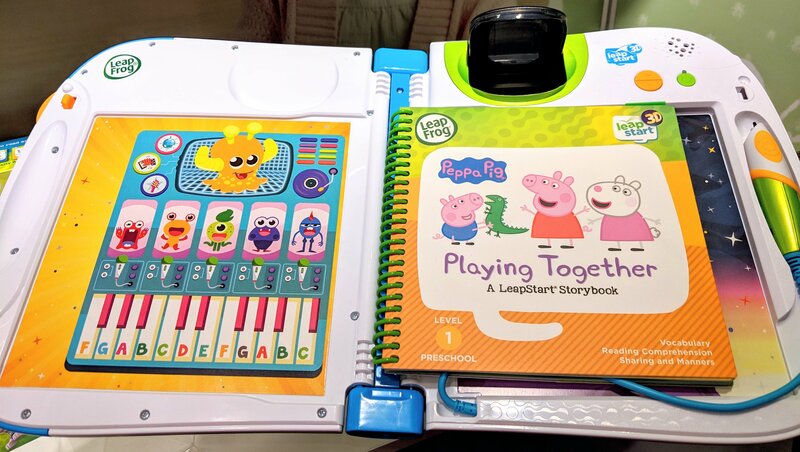 The LeapFrog LeapStart 3D helps children learn to read. You attach the specifically designed story books and use a pen to help read. It also shows a holographic image. For example, when reading Peppa Pig, you will see a projected holographic image of Peppa jumping in muddy puddles. The combination of sight, sound and interaction helps children learn to read from ages 2-7 years. I got to play with Pomsies at Dream Toys 2018 when the Bandai rep put one on my wrist. 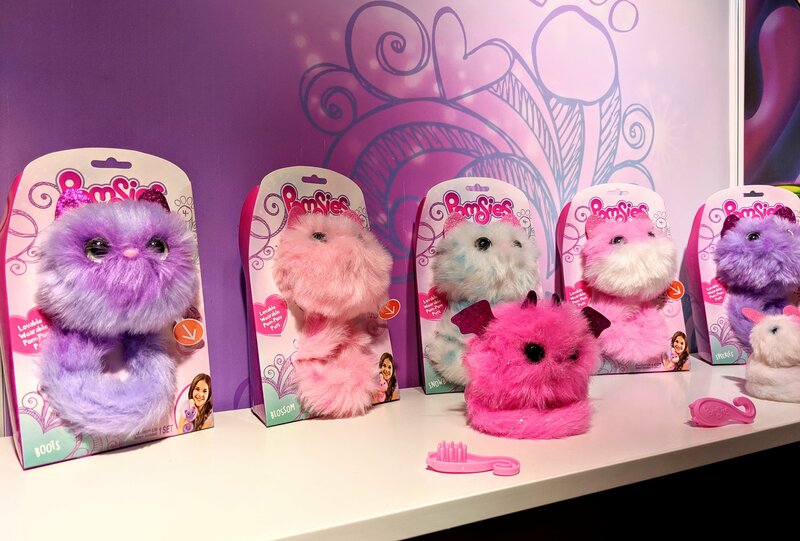 You’ve heard of wearable tech… well this is a wearable toy. It makes over 50 different sounds and reacts to affection (or lack of). They will communicate whether they are hungry, sleepy or happy and their eyes change colour too. 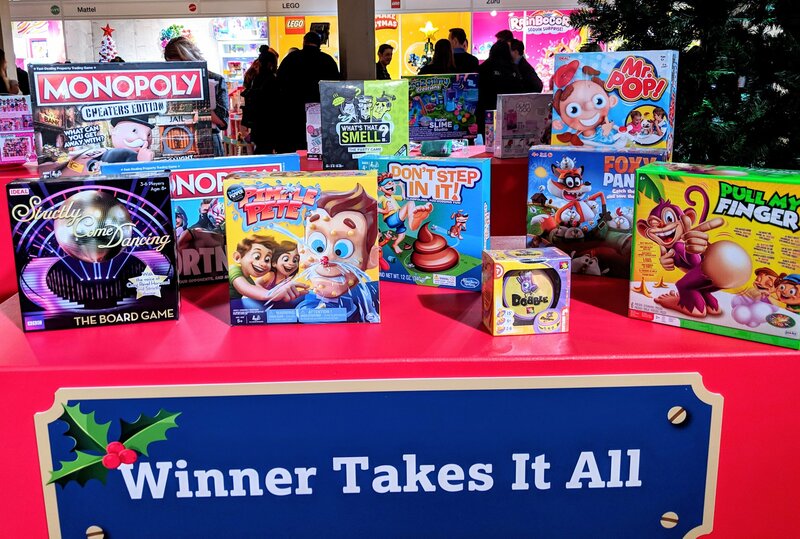 There seemed to be an abundance of slime themed and poop themed toys at Dream Toys 2018, as well as some really great board games for all the family. 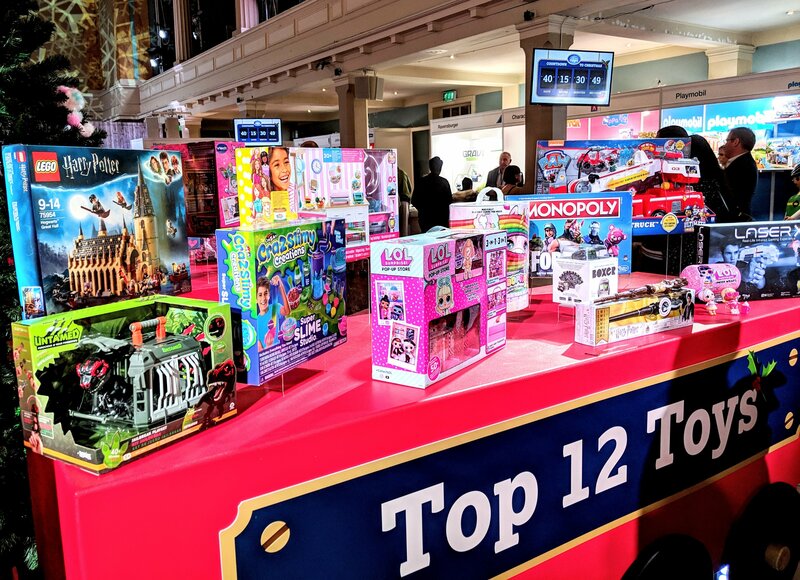 And whether your children are into Barbie or Hot Wheels, there seemed to be something for everyone in the top 100 toys to buy for Christmas. You can find the full 100 toys here. 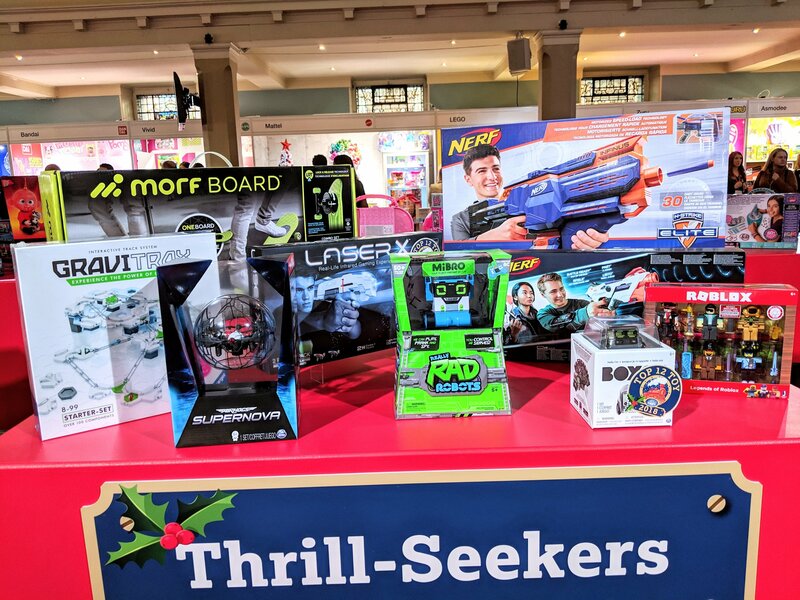 This entry was posted in Christmas, Toys and tagged best toys to buy for Christmas, Christmas, Dream Toys 2018. Bookmark the permalink.